Sunrise is a time of day that is best observed from under a blanket or three. Or best not observed at all. I'm thinking that we're going to have a good - as in cold - winter this year. Perhaps some snow in Katoomba and further west, but that won't happen until June or July. That probably means organising this for sometime prior to the snow ... late May? Or maybe the weekend before Liz turns another year older? biggerry wrote: april could be a good month? before it gets too fing could up there. Count me out then. I am otherwise engaged All March and April & part of May. hmm, could wait until the end of May (early june)...but you will probably be tripped out by then, and also photographed out for sure! gstark wrote: I beg your pardon? I think the first thing we need to do is confirm whether the private tour thing is a still a go-er. absolute sacrilege spankage for you. I am quite sure Gary appreciates a sunrise as much as the rest of us. He simply prefers to do so via the medium of a photograph that someone ELSE made. Seriously, Don't change the date just for me. There is a good chance I won't make it anyway. Mr Darcy wrote: I am quite sure Gary appreciates a sunrise as much as the rest of us. Actually, I've seen a very large number of sunrises. Mostly from the point of view of "Oh, is that the time? I suppose I should be heading home at some point." 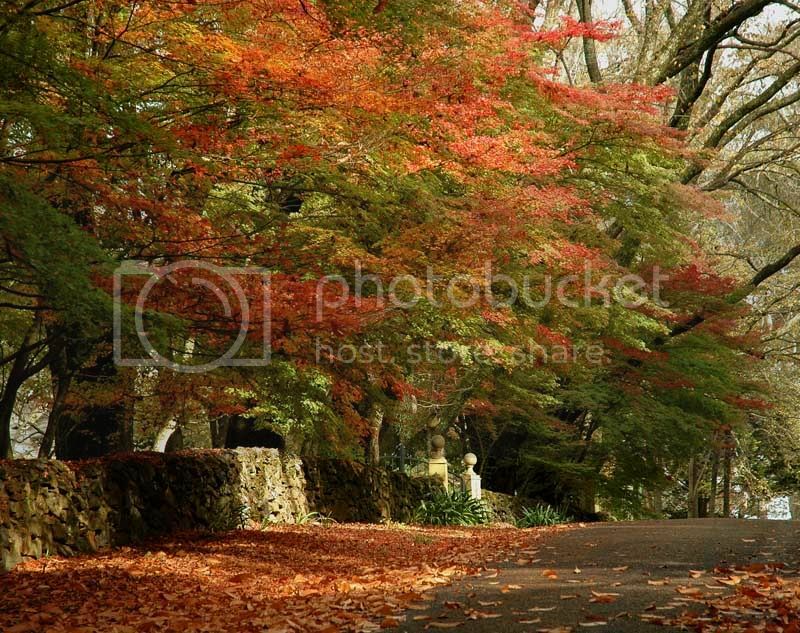 I did have a discussion with someone - forgive my flakey memory atm - about Mount Wilson and the Tomah Gardens during Autumn - this would be awesome imo, I have only every driven past these locations and it would be great to capture some of that wonderful autumn colour up there. Any mountain folk have any recommendations on the perfect time? ....that would be me after our Megalong Valley meet. I make an annual pilgrimage to Mt Wilson in Autumn..anyways great but timing is important. There used to be a website which has the gardens and telephones listed but it appears to be under construction ATM and not accessible. I generally ring one of the owners to find out when the gardens are at their best. biggerry wrote: I did have a discussion with someone - forgive my flakey memory atm - about Mount Wilson and the Tomah Gardens during Autumn - this would be awesome imo, I have only every driven past these locations and it would be great to capture some of that wonderful autumn colour up there. Any mountain folk have any recommendations on the perfect time? I also love Mnt Wilson, was up there last weekend. I can keep you up with how the colour is going up this way in Autumn if you like so that we may time things a little better. I rarely get over to Mt Wilson. It's probably been more than 10 years. But one thing to be aware of up here is the way autumn changes with altitude. It will be over in Blackheath, in full colour in Wentworth Falls, just beginning to colour up in Hazo (Hi Colin) and not yet started for Andrew (Glenbrook) The exact timing also varies from year to year. It is a late summer this year, so I would expect a late autumn as well - unless of course it is a short summer. Best take Colin up on his offer to keep you informed, or better, get a spy in Mt Wilson itself and be prepared to come up on a week's notice. I very much doubt I will be involved. Jenno wrote: I make an annual pilgrimage to Mt Wilson in Autumn..anyways great but timing is important. keep me posted on that one. colin_12 wrote: I can keep you up with how the colour is going up this way in Autumn if you like so that we may time things a little better. definitely, that would be excellent. Mr Darcy wrote: get a spy in Mt Wilson itself and be prepared to come up on a week's notice. I very much doubt I will be involved. hmm, surely someone has a webcam up that way! Gerry - thanks you have saved me the work. I'd only got as far as their (not very good) website which previously featured pricing on private tours, but which is now noticeably missing. When we last did this we made weekend of it. Some stayed in Blackheath and we did a sunset shoot at Govett's leap before an early start for Jenolan the next day while others camped out overnight. I suggest something along those lines would be useful for the next outing. Did they give any indication of suitable dates and times? stubbsy wrote: When we last did this we made weekend of it. That would raise the interesting possibility of visiting the caves themselves at night, allowing the daytime for other stuff. Will they do the "special" tours at night? The caves themselves don't care. It will be artificial light anyway. biggerry wrote: Did they give any indication of suitable dates and times? nope, but I suggest avoiding the start of april since there is another photography forum going there then. So have you got the model sorted yet Gerry? We may want the weather to warm a little more before we make the trip but that means more people up there as well. Does everyone have a decent set of warm gear that is able to get a little damp?